It's always fun to find a cool new hotel to add to our Hotel Style posts, which we initially started posting many years ago, intended to give readers new inspiration for perhaps a DIY or two or a fun new decorating trick to freshen up your space. 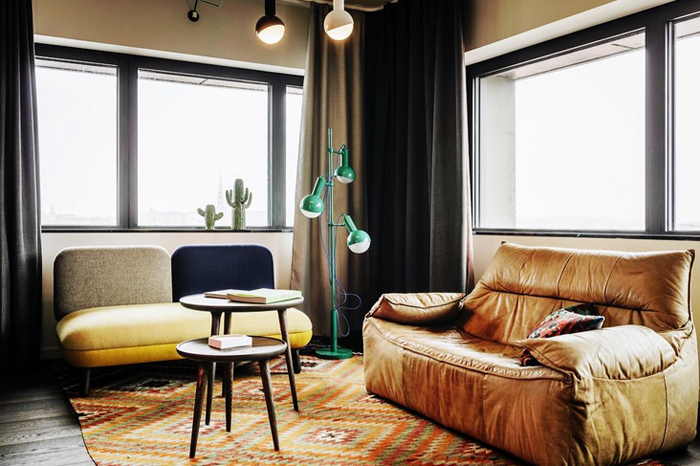 We recently were introduced to the Hobo, a new boutique hotel in Stockholm which offers an eclectic collection of decor and tech ideas. Hobo has 201 design rooms on 7 floors and in 4 categories. All with creative comfort and fun gadgets, plus other details that vary month-on-month, depending on their partners. 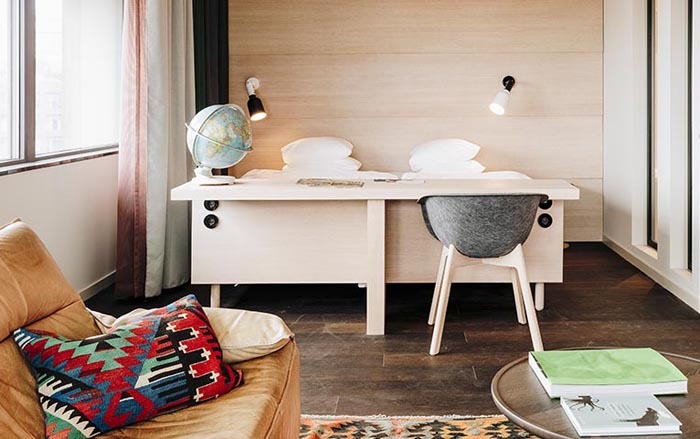 Their hotel rooms have a unique design, and much of their furniture is specially designed for Hobo by German design firm, Studio Aisslinger. 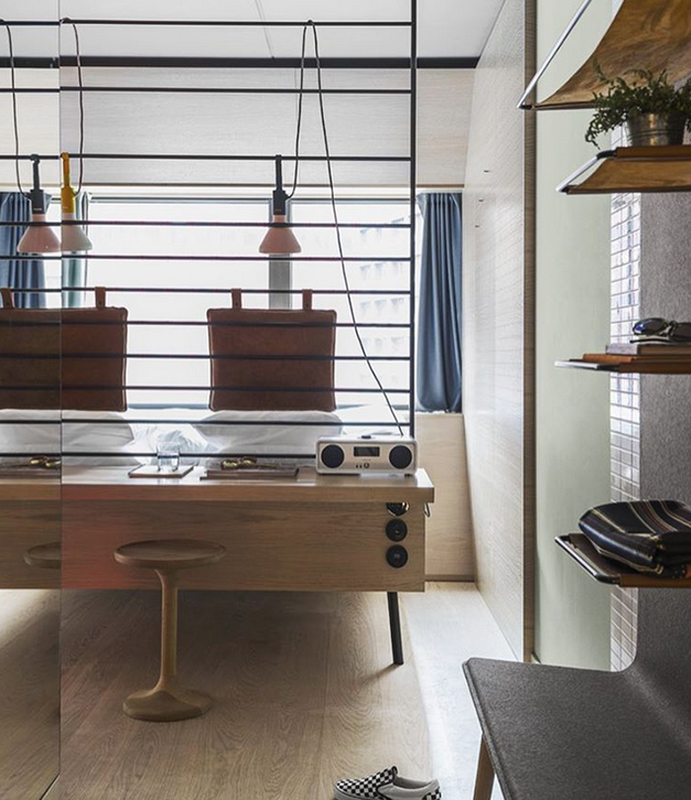 We love the clever storage solutions in each room. 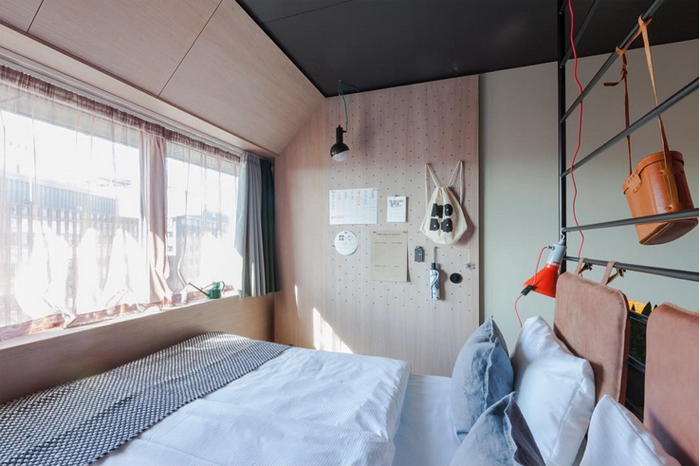 The bed is high enough for you to shove your suitcase under, the headboard turns into a desk and its steel lattice design separates the sleeping area from the rest of the room. It’s also somewhere to hang stuff. Many of the walls are “peg-walls” for hanging more things, like all the handy gadgets you can borrow when you stay with them, like a Pocket Synth from Teenage Engineering as an example. 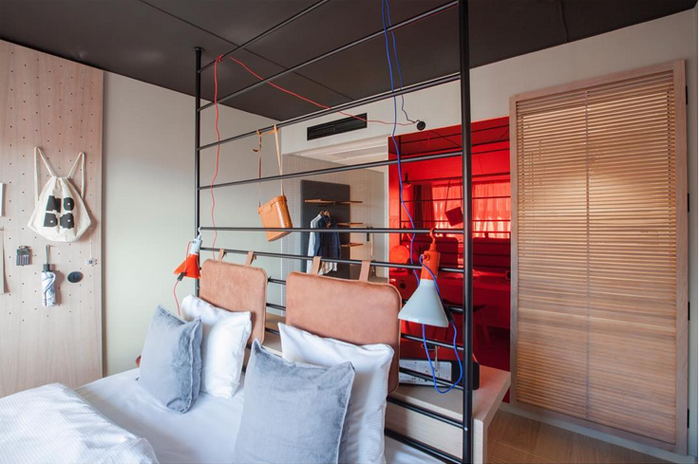 The beds are situated in the middle of the rooms, each facing the window intended so that you’ll be able to lie in bed and enjoy the view over the Stockholm skyline. Fun tech stuff too, like the phone is replaced with a chat function, and each room is equipped with a Google Chrome solution that allows you to easily stream your own content from your mobile or PC, to the TV. 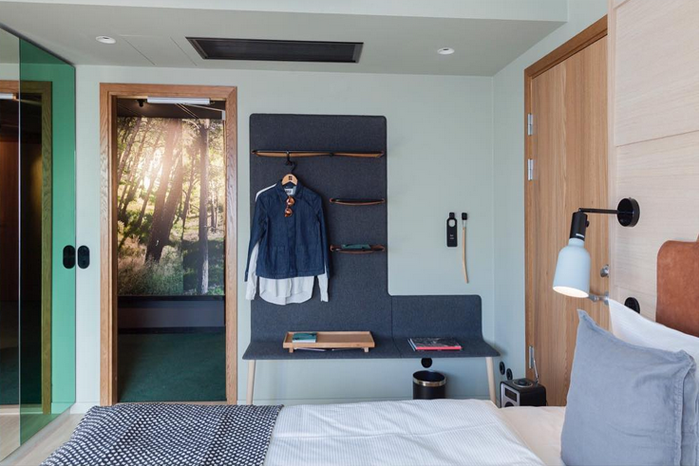 The hotel also offers up a unique restaurant featuring fresh greens which are grown using aquaponics in-house and there's even a pop-up shop in the lobby which collaborates with local artists.